Interested in learning more about permaculture design? Organiclea’s work – from the soil upwards; the plants, people, working ways, and essential infrastruture, have been informed by permaculture design learning. This has meant bringing nature’s patterns and cycles into the food-garden, joining dots in our outreach and enterprise work, and understanding the strength of community connections in the webs that we are a part of…. Organiclea is running a *two day ‘Introduction to Permaculture’ course* offering an overview of permaculture principles, design methods and processes, and an opportunity to see examples of permaculture design implemented in the garden and beyond. It will be at Organiclea’s Hawkwood Nursery site in Northeast London. The course will be taught by a group of Organiclea practitioners, a team that includes growers, enterprise and community development workers. It will include plenty of space for practical, participatory and thought provoking contribution from all! Cost £120/£80/£40. See our course fee guide. To book on this course please go to the registration page. Click here for site directions. 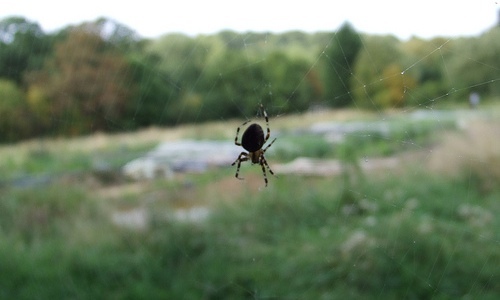 Contact courses@organiclea.org.uk with any questions about the course. Once registered you receive a course information sheet with learning and logistical details. … Hoping to see you also somewhere along the garden path! Thanks Paul. This would be great but we’re away that weekend. Exciting news though: we have an allotment!